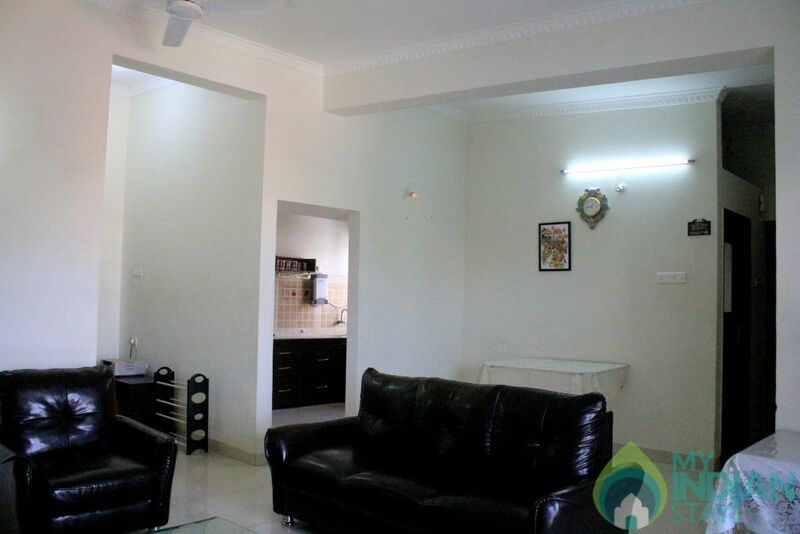 This Spacious 2 bedroom Residence is located in Candolim at Devashri Sun n Sand Complex. 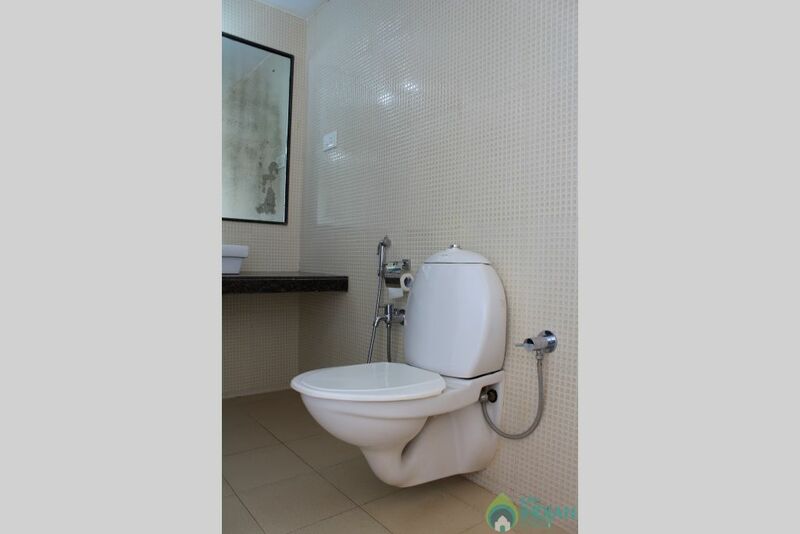 Being right next to the Golden Tulip Resort and having the I.T.C Fortune Park just around the corner, makes this complex very convenient to reach. Why will you love your stay here? ■ Added bonus open terraces that doubles as the best sit-out. ■	Surrounded by greenery and hills. ■	Beach – At a walking distance. ■	100s of Restaurants at a walking distance. ■ Active Host + On-call concierge. ■	Housekeeping by India’s leading luxury property management company. 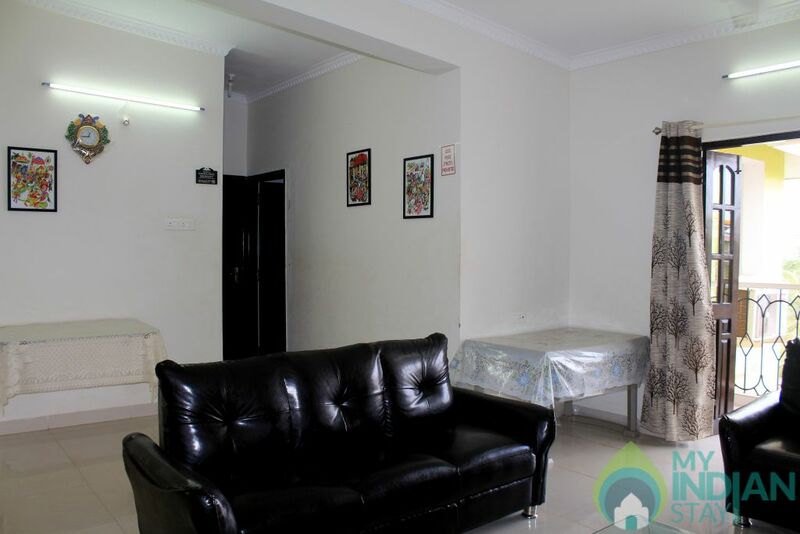 This centrally located 2 bedroom apartment is just a walk away from the renowned Candolim and Sinquerim beaches, 2-minute bike ride to over a 100 restaurants and a plethora of cultural heritage in and near Candolim. The apartment overlooks sprawling green-scape. 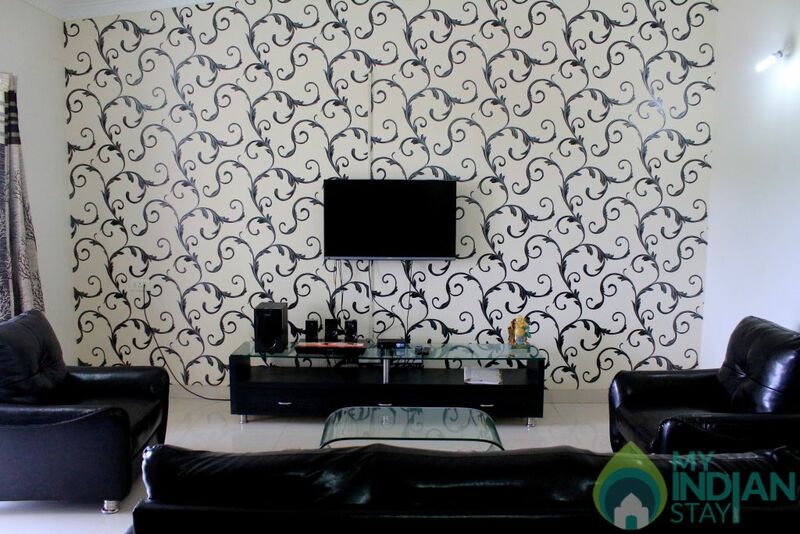 It offers a pleasant, private, and relaxed environment at a secure location. 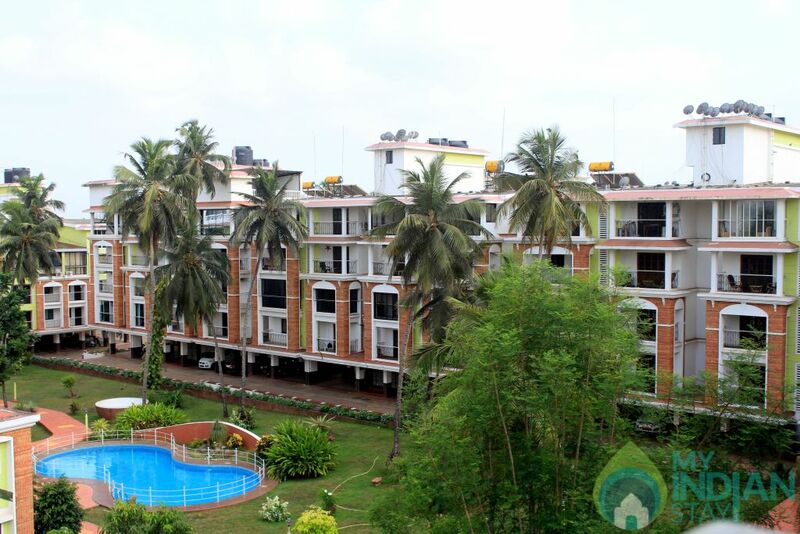 The Apartment rests on the fourth floor in 'Devashri Sun N Sands' Apartment complex in Candolim. It is conveniently located right next to the Golden Tulip and ITC Fortune Grand is just round the corner. 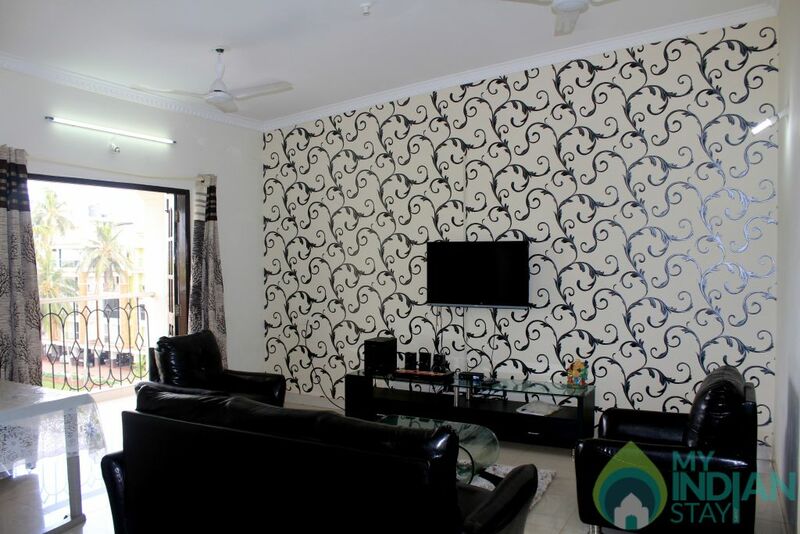 The apartment has everything you'll need to stay comfortably and safely in the heart of Candolim. The space is clean and practical, with all comforts - including easily accessible charging points, storage, well-equipped kitchen, Washing Facility ,Clothes stand to dry clothes. ✔ Elevator/Lift facility is available in the building. ✔ Generator system that ensures 24x7 water supply. The Living area is spacious and opens into a balcony which overlooks reserved green-scape and the pool . 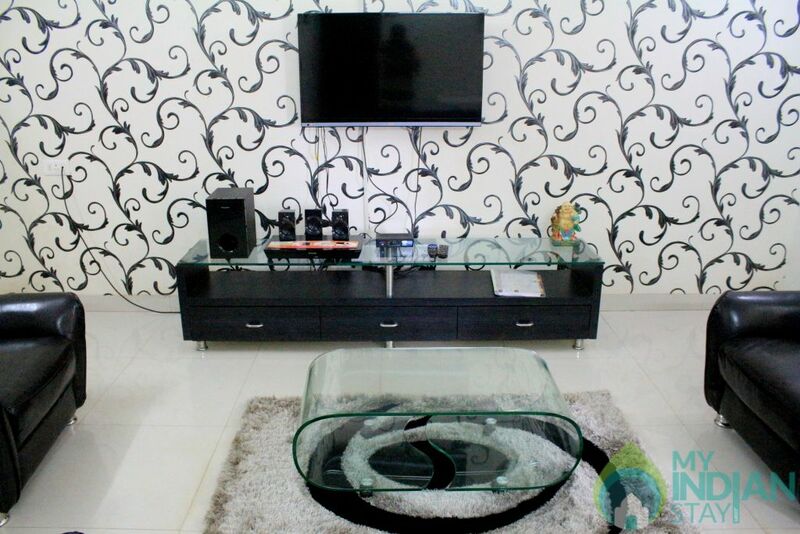 It is air-conditioned and has a sofa which seats 3 along with a sizeable LED TV with Tata Sky DTH. 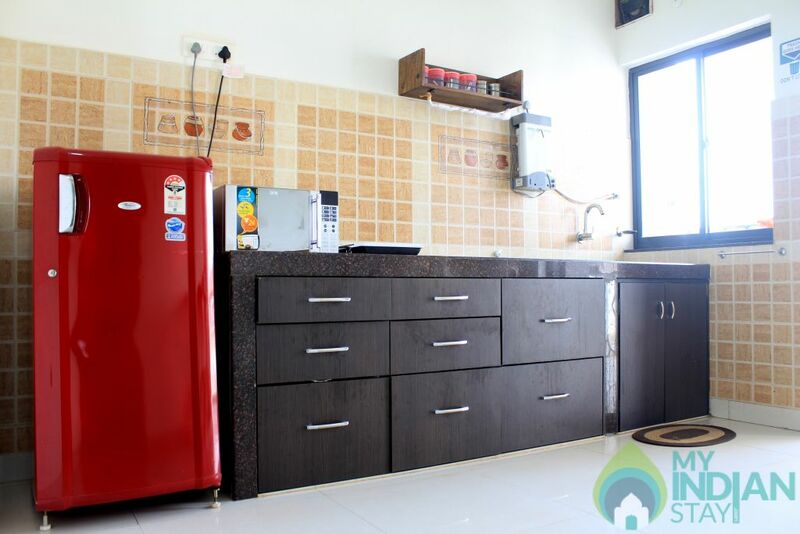 The dining area has an open concept dining counter with the kitchenette and 2 comfortable chairs. 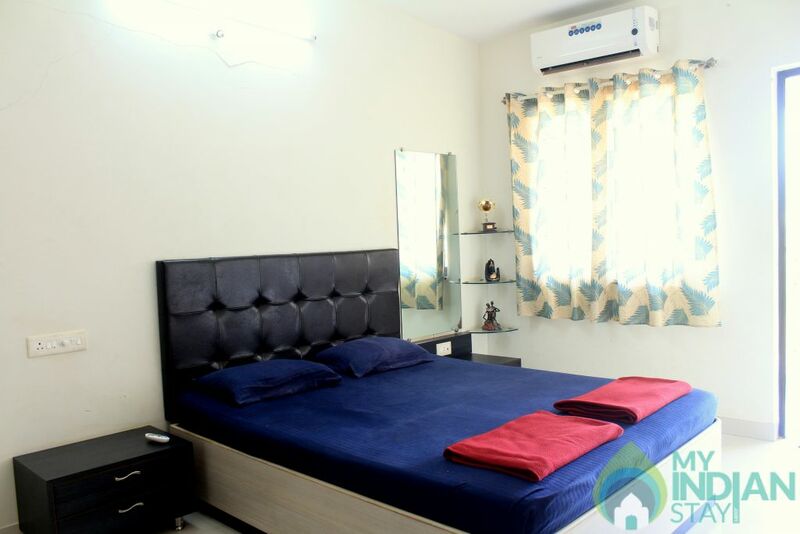 Room 1 (Master Bedroom):The Bedroom is air-conditioned with En-suite bathroom with shower has a geyser for 24X7 hot water .Has a wardrobe, and houses a comfortable king-sized bed. The bedroom opens to a balcony with views of the Entire complex . . We provide ample toiletries for your stay. The Bedroom is air-conditioned. 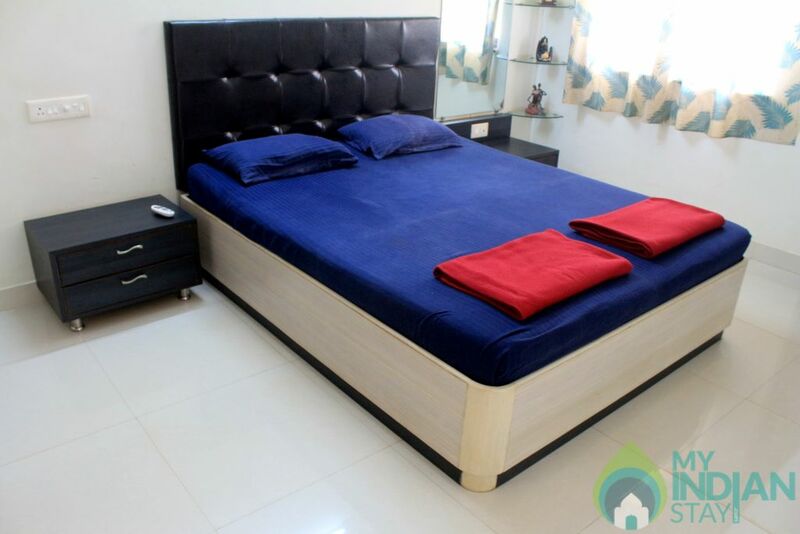 Has a wardrobe, and houses a comfortable king-sized bed. The bedroom opens to a balcony with the . with a view of the pool and the surrounding area. 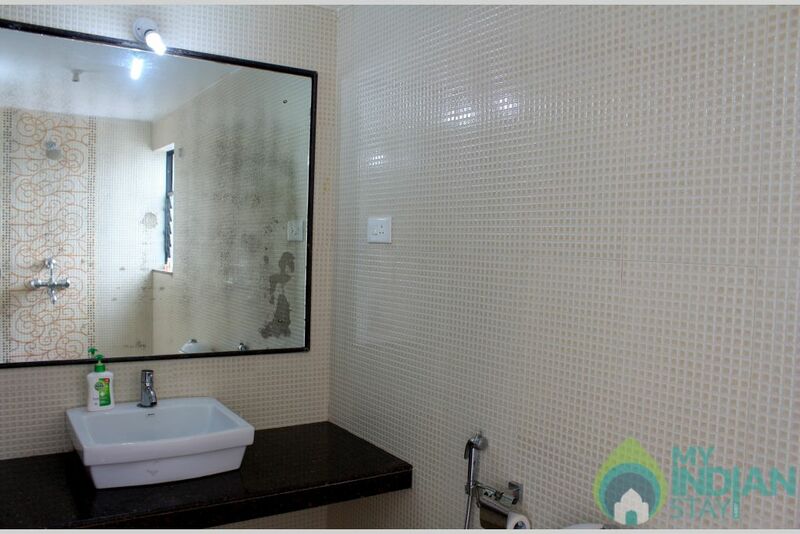 The common washroom consists of new-age bathrooms with basin, commode and shower that have 24 x 7 hot and cold water. 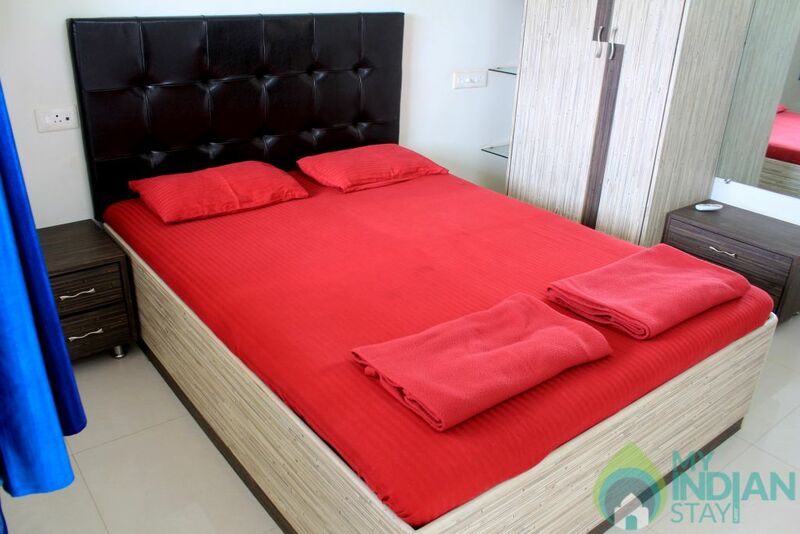 Extra Mattress : 2 foldable mattresses with linen and pillowcase are provided which makes it comfortable for 6 guests. Candolim is a beautiful village of North Goa, it is one of the most happening tourist hot-spots and is very famous for its beautiful beach. While at the Candolim beach do not miss out the Fort Aguada. The fort was built by the Portuguese way back in 1912 for defence against the Dutch and the Maratha invaders. Candolim beach is good to take a plunge or just sunbathe. For the more adventurous amongst you there is the option of indulging in water sports like parasailing, wind surfing, banana rides and jet skiing. There is also a church situated in the village known as the church of Our Lady of Good Hope. It was built in 1560 by Father Pedro De Belem. It is well known for its stained-glass work inside. There are several markets close to Candolim - Mackie´s Saturday Night Bazaar, Wednesday flea market at Anjuna Beach, Saturday night market at Arpora, and will satisfy even the most demanding shopaholics. 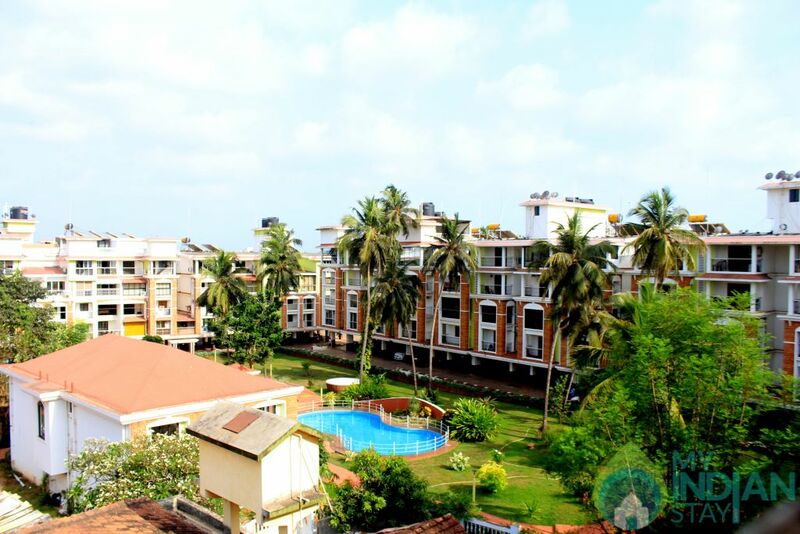 Most people in Candolim walk as everything is within close proximity. However, car and bike hire is readily available. There are also many taxis available to take you out for a sightseeing tour of Goa. 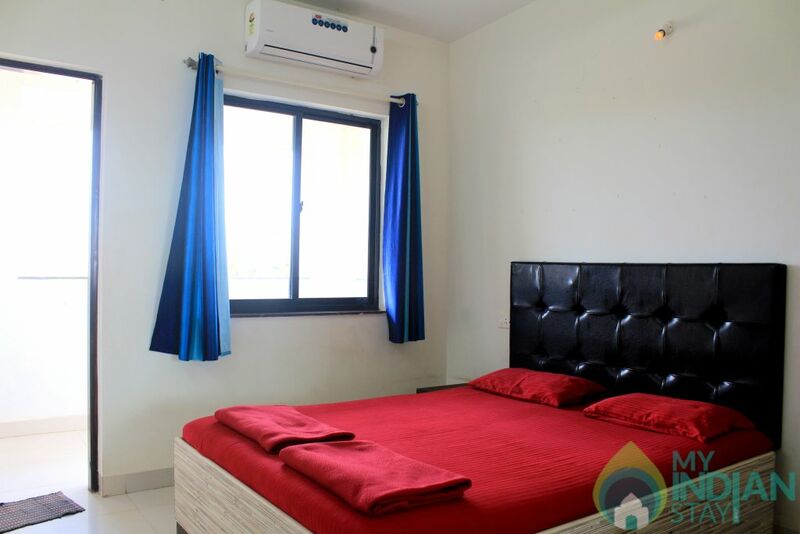 Less than 10 minutes´ walk to Candolim clean, white and sandy beach which, has a large selection of beach shacks offering excellent value for money food and drinks. Water sports, fishing and boat trips are available nearby. Candolim is buzzing with life. You don´t have to walk for more than a few minutes before you get to a shop, a bar, a restaurant. 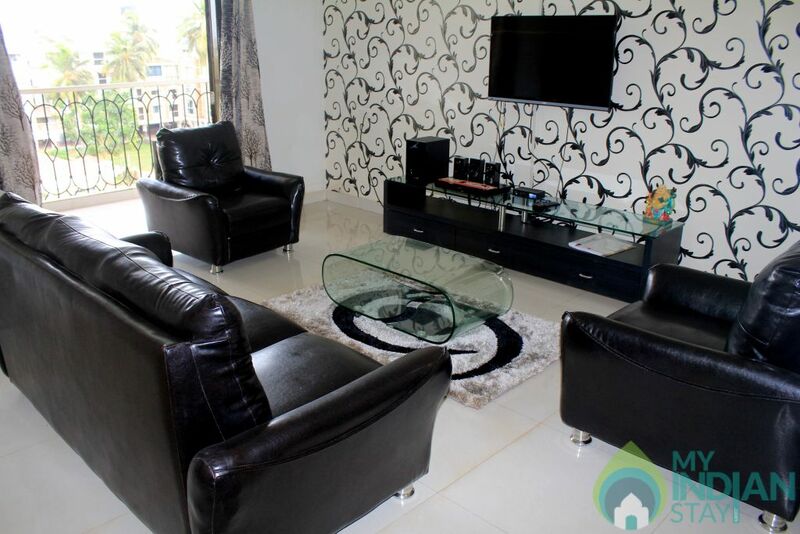 This apartment will just add and add to your perfect recipe for a great holiday. This is a private residence and not a hotel. Our property managers and housekeeping executives will be there for your comfort at ‘normal working hours’. Apartment is cleaned and readied by professional housekeeping staff before your check-in and on an alternate day basis in your stay. It does not include cleaning of the utensils. Apartment is cleaned and readied by professional housekeeping staff before your check-in and on an alternate day basis in your stay. It does not include cleaning of the utensils. We can also provide cleaning on a daily basis on an additional charge. 9AM - 1PM - Depends on availability, we will be able to confirm, 1 day prior to check-in. Before 9AM - Chargeable - 70% of tariff. 1PM to 6PM - Chargeable - 50% of tariff. After 6PM - Chargeable - Full day’s tariff. 1 ) ID proof/ Address proof ( passport, election card, driving license ) is mandatory on arrival of all individuals staying at the premises. Clients are requested to carry a xerox copy for the same. 2) Damages if any to the property, will be charged accordingly. A refundable deposit of 5000 rupees will be applicable as security at the time of check in to cover for damages if any. In case of misbehavior, the Apartment owner/ manager reserves the right to ask the guests to vacate the premises. Guests are expected to keep the apartment clean and tidy on departure. 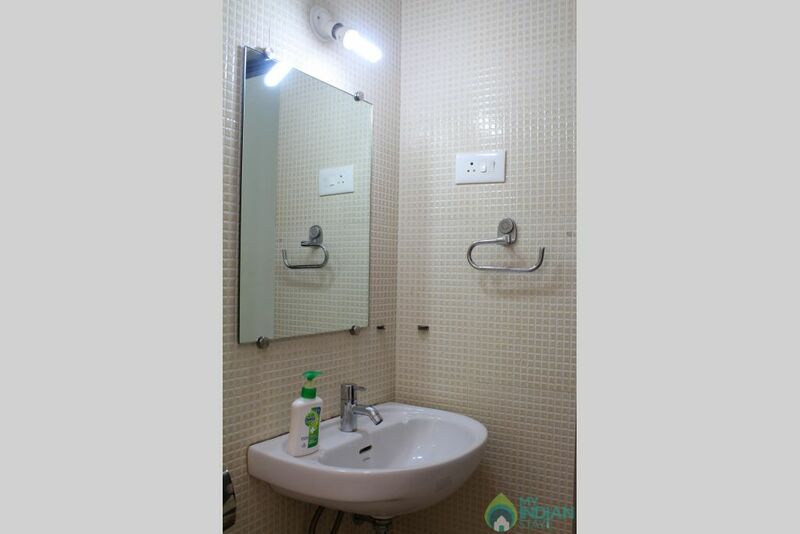 3) The Guests should ensure that they do not litter the Apartment, Garden and Pool area. Since this is an apartment building one should also be mindful of not disturbing other guests and move around quietly if you are returning late at night. Smoking is restricted to only the balcony. This host has 14 reviews for other properties. What brings you to Candolim? Who all are coming?